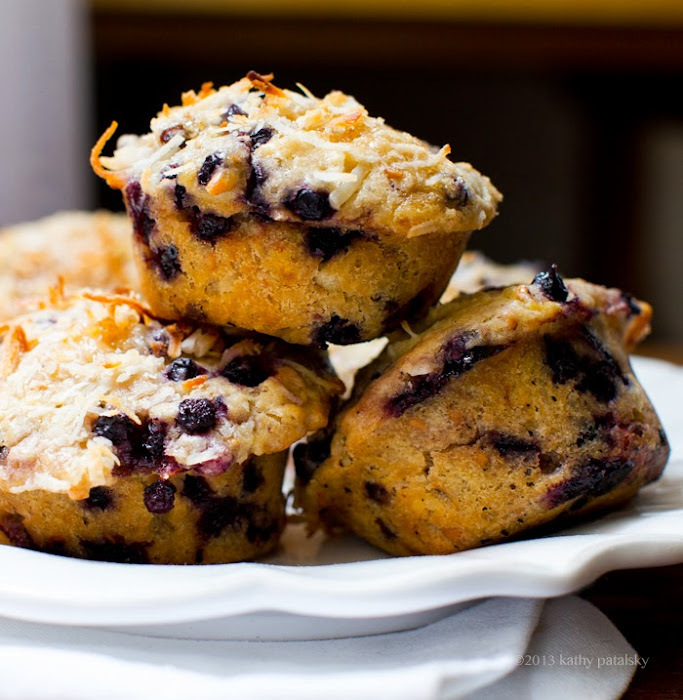 Double Coconut Blueberry Muffins. My Bed & Breakfast-Style Recipe. The first day back from vacation is the worst. In a hazy, dreamy state you roll yourself out of bed and your pre-vacay routine kicks in. At your desk, you reluctantly pull open your laptop or unsleep your screen and just stare at your computer for a moment as if it is a foreign object. The clunky keys and hard edges appear cold and unfriendly. Hmm. Now what? Dread. Back to work blues. Or as I am calling mine: PMB. Post Maui Blues. 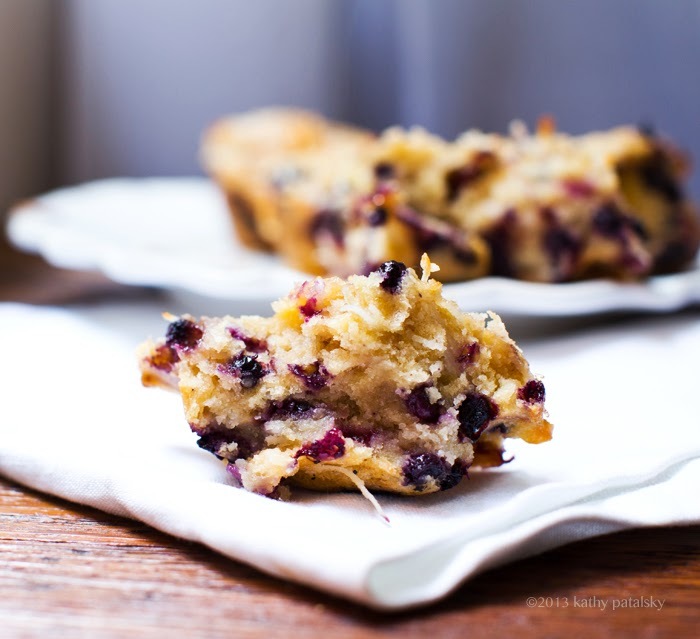 Today's back-to-work recipe to ease me back into work-ish things: A vacation-infused bakery treat. 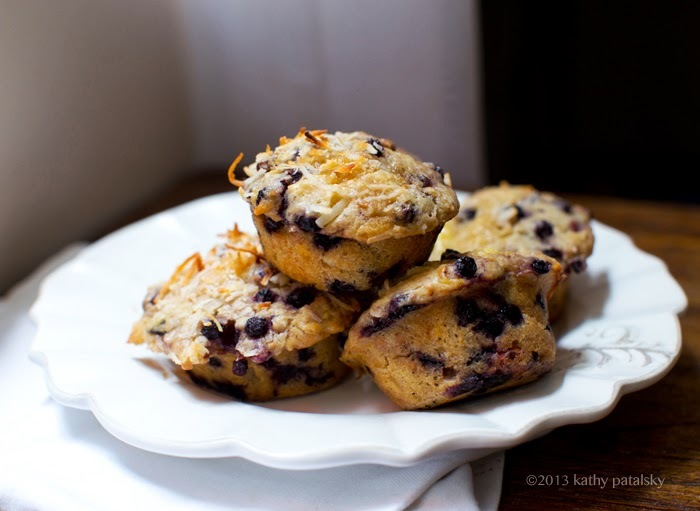 Vegan Double Coconut (Coconut Oil) Blueberry Muffins. 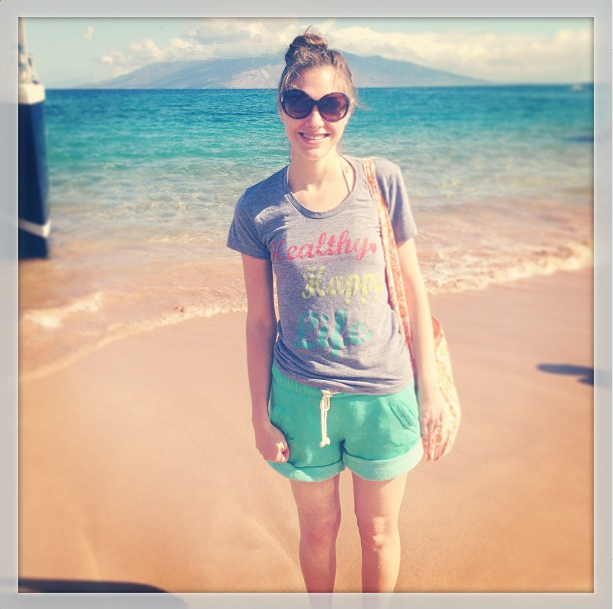 I can't wait to share all my Maui adventures with you in a travel post. SO much amazing vegan food. But for now, I think my smile sums up how much I loved Maui.. But back to my computer I go. Luckily, I had a recipe all set to go for today's post. 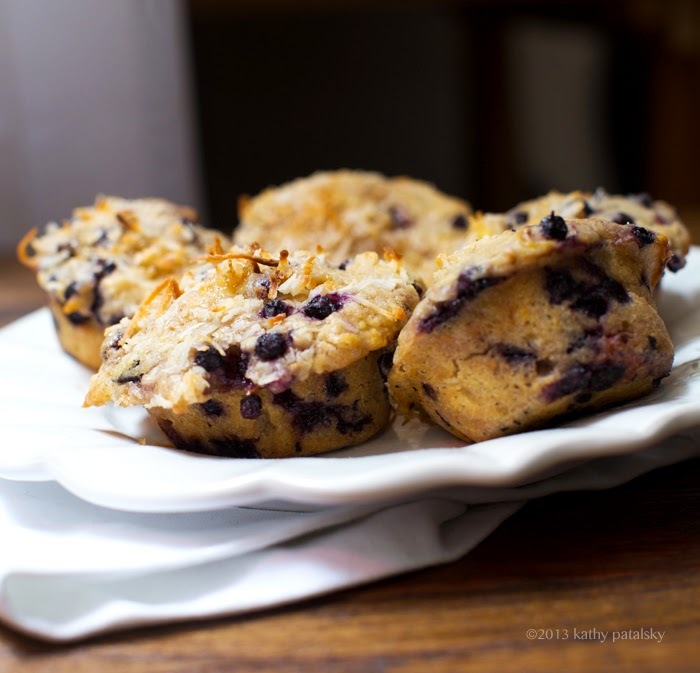 Before our trip, I whipped up these coconut oil blueberry muffins. (Bed and breakfast style, in anticipation of vacay.) 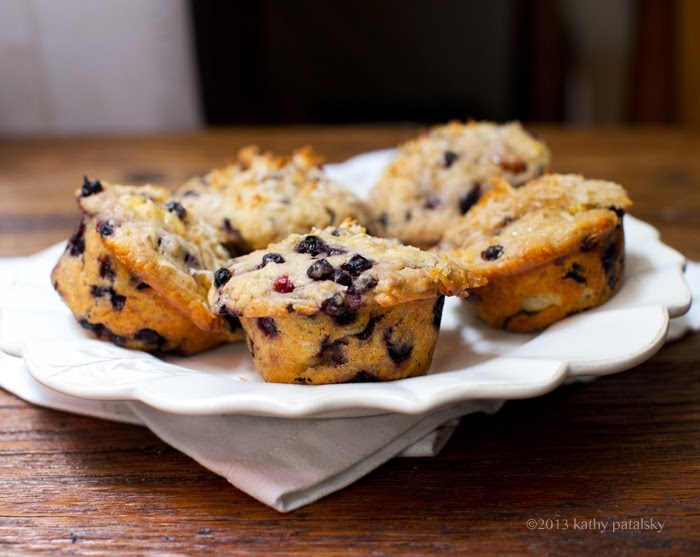 Rich, perfectly fluffy, cake-like muffins always remind me of the type of those homemade, hearty muffins they serve at bed and breakfasts, exotic vacation resorts and other homes-away-from-home. 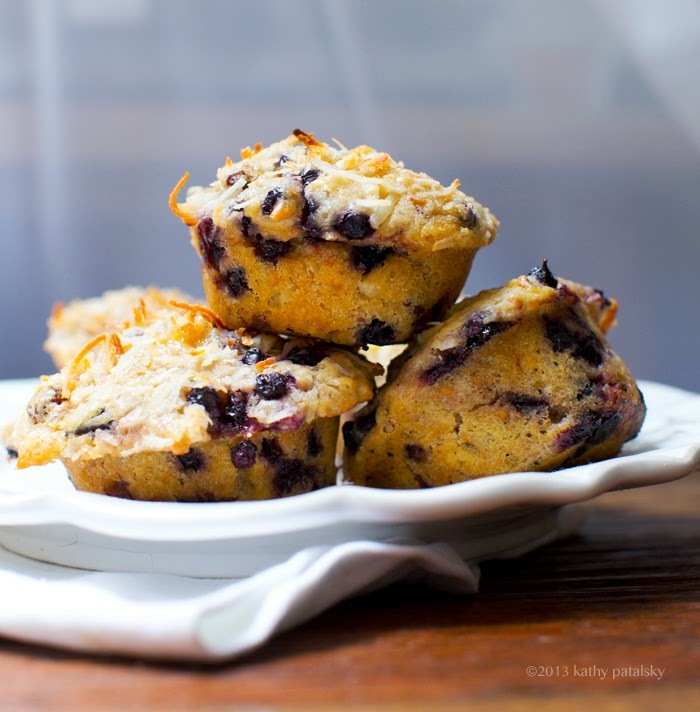 These muffins are not lowfat or gluten-free. 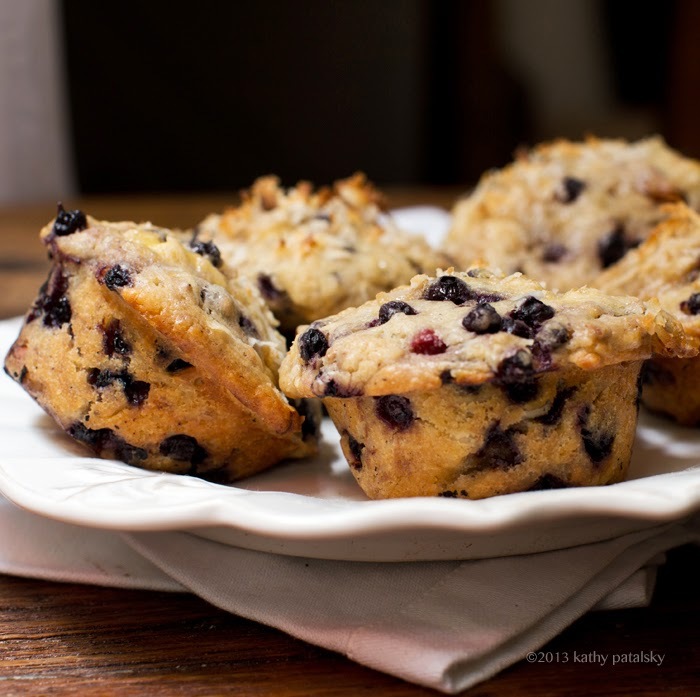 But enjoy them as they come, one muffin and you will feel satisfied and rewarded. 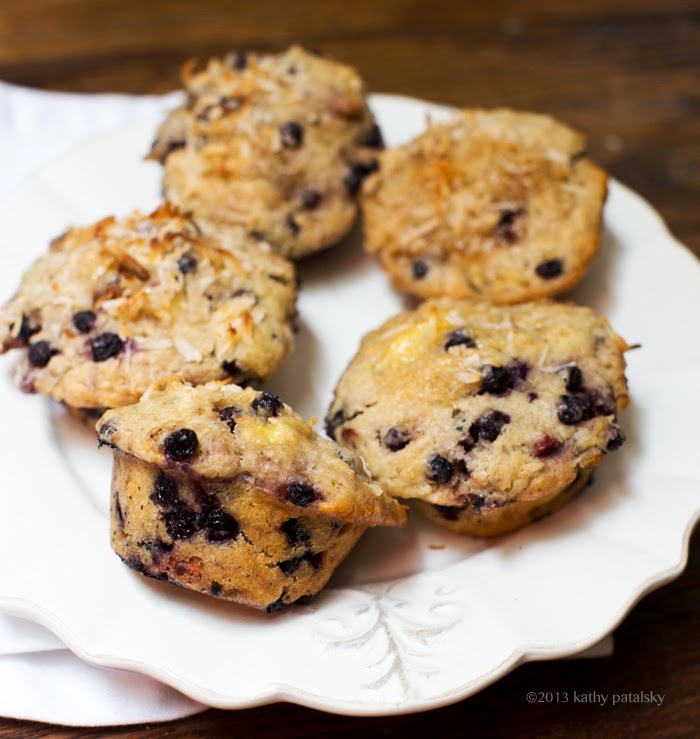 Serve your muffin with my Maui coffee specialty: a coconut-syrup infused iced soy latte. Add a touch of cinnamon too. Paradise. **want even richer muffins? Add another spoonful of coconut oil. Yup! 1. Preheat oven to 375 degrees. 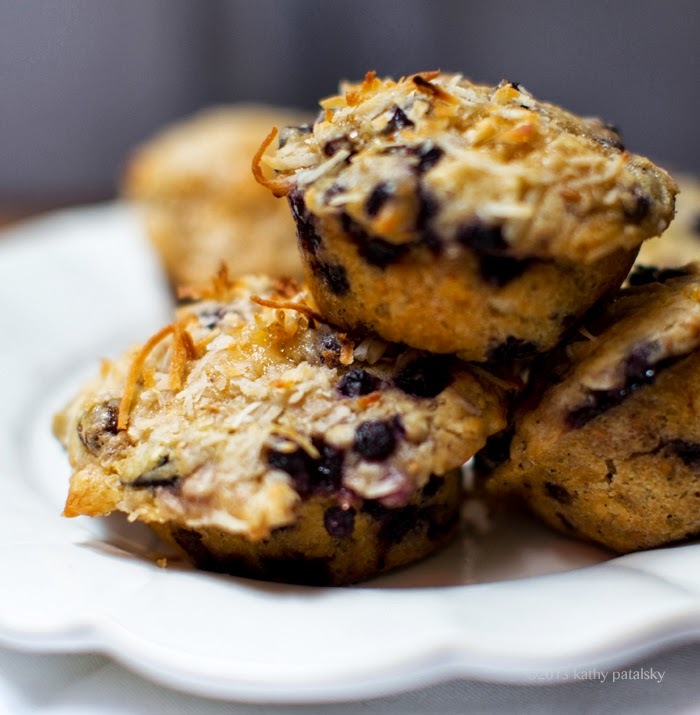 Grease muffin tins with generous amounts of coconut oil or coconut oil spray. 2. In a large mixing bowl, combine the flour, salt, flax seeds and baking powder. 3. In a medium bowl, add the coconut oil, sugar/sweetener, non-dairy milk. Warm in microwave until oil is melted. You want them all to be warm but not hot. 4. Add the coconut oil liquids to the flour mixture and fold well. Fold in the lemon, vanilla, banana, coconut shreds. Fold until combined. 5. Lastly, fold in the blueberries. 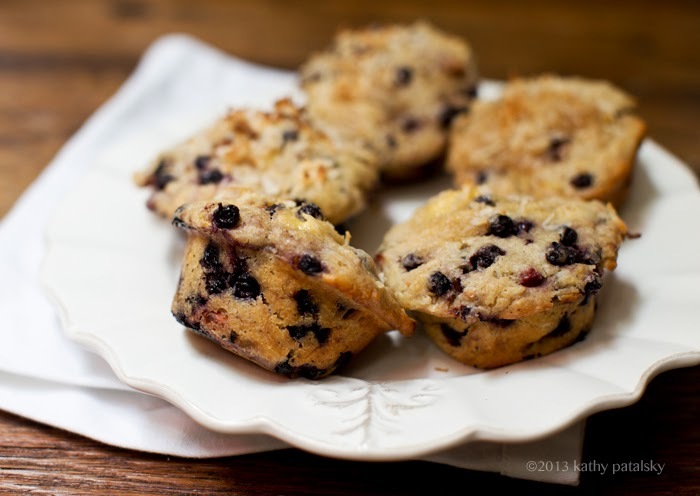 They can be slightly cold, this will actually help firm up the batter a bit for easier scooping into the muffin tins. 6. Bake the muffins for 20 minutes at 375 degrees. 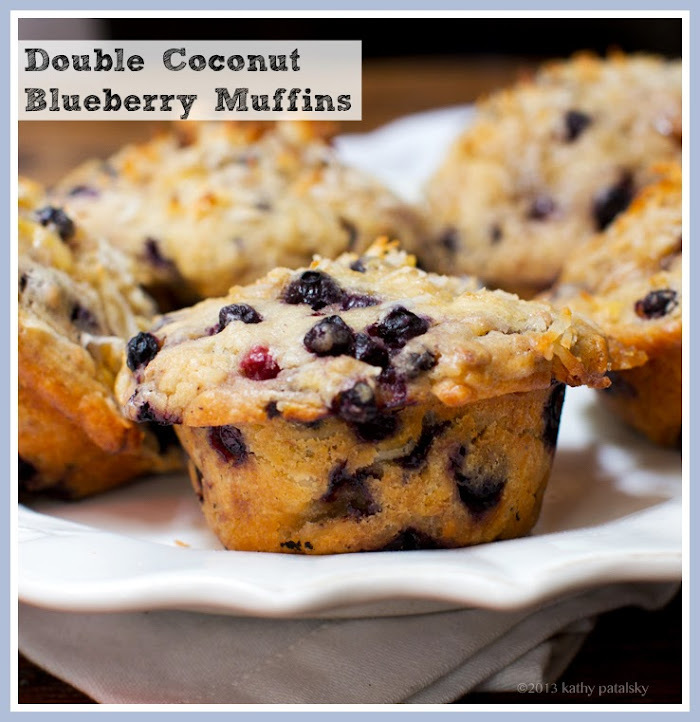 Allow to cool before attempting to pull from muffin tins, as they will be very delicate upon coming out of the oven due to the high coconut oil content. Best served warm, about 30 minutes after baking.